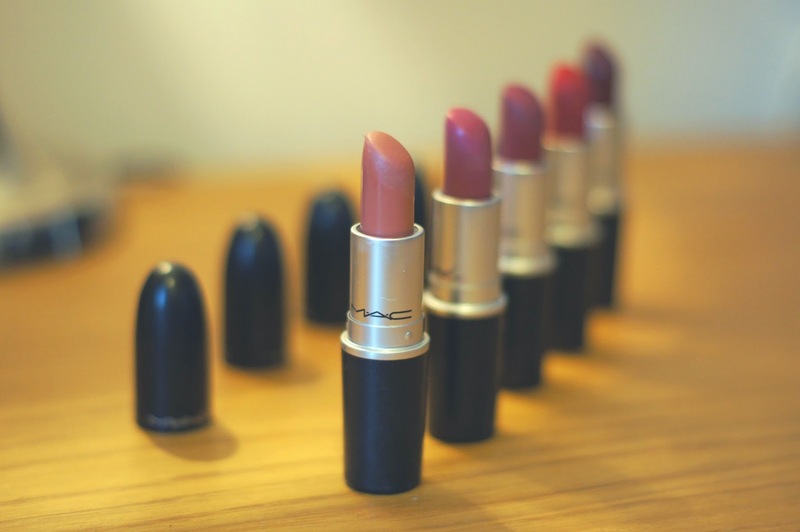 Every girl loves good old MAC lipstick, myself included. There’s something so satisfying about having a row of these little black bullets lined up in your make-up collection.I know so many people have tonnes of these bad boys, against which my ‘collection’ probably looks rather pitiful.. BUT we can’t all afford to buy a new one every week, so for a student, I’m proud of mine, and I love each and every one. 1. Lets go from left to right on the image above. Furthest left is one you’ve probably never heard of, I just bought it on a bit of a whim when I was in Paris (definitely not to try and make my lips look like Kylie Jenner’s or anything like that). 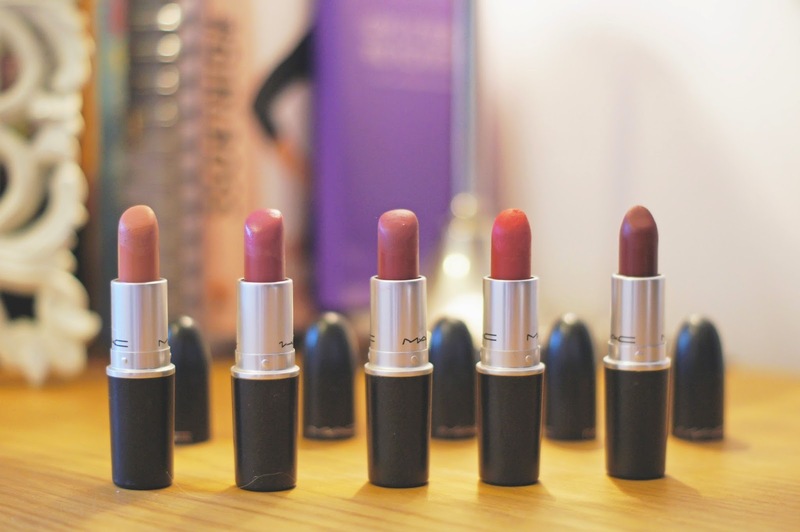 It’s called Velvet Teddy, and if you’re a fan of mac lipsticks, you either own this, or wish you could. I’m sure you’re fully aware that this bad boy sold out like crazy, as the lip colour of choice for KJ herself. They should change the name of the show to Keeping up with Kylie at this rate. 2. Next we’ve got ‘Plumful’ which is a lovely plum colour (believe it or not), and is so easy to wear. I usually go to this one on days when I want to look like I’ve actually made a bit of an effort- but not too much. 3. In the middle is ‘Amorous’, which is very very similar to Palmful, but is a few tones darker. I tend to save this for evening looks. It’s a bold choice without being too bold, if ya’ know what I mean. 4. We’ve reached the cult-classic now, ‘Ruby Woo’. Don’t get me wrong this is a gorgeous colour for the classic red lip, but it’s not the easiest lipstick to maintain throughout the night. The matte finish looks fab- at first- but I normally have mix this with a more lustrous red lippy to stop my lips from getting into a dry and flakey conundrum with this one. 5. And finally, we’ve got ‘Diva’ at the end, which is my favourite go-to for a bold evening lip. It’s much darker and richer than Amorous, so if you want to make a statement, without going crazy and wearing blue or black or something- which I could just never pull off- then this is definitely one to try. I’m definitely due a sixth member to my team any day now, any suggestions?